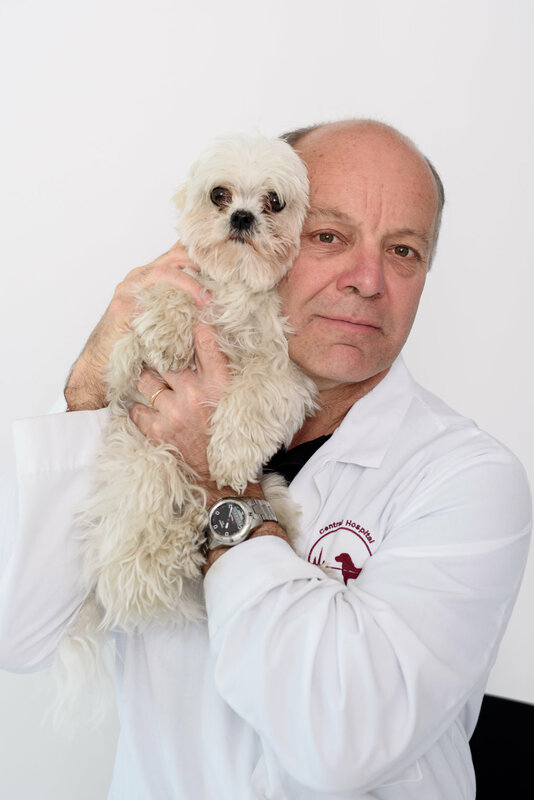 Dr. Eric de Madron is a Diplomate of the American College of Veterinary Internal Medicine in Cardiology and the European College of Veterinary Internal Medicine in Internal Medicine. Dr. de Madron has extensive expertise in interventional cardiology (pacemakers, balloon valvulopasties and trans-catheter PDA occlusions), and interventional radiology (placement of tracheal stents for the palliative treatment of tracheal collapse). 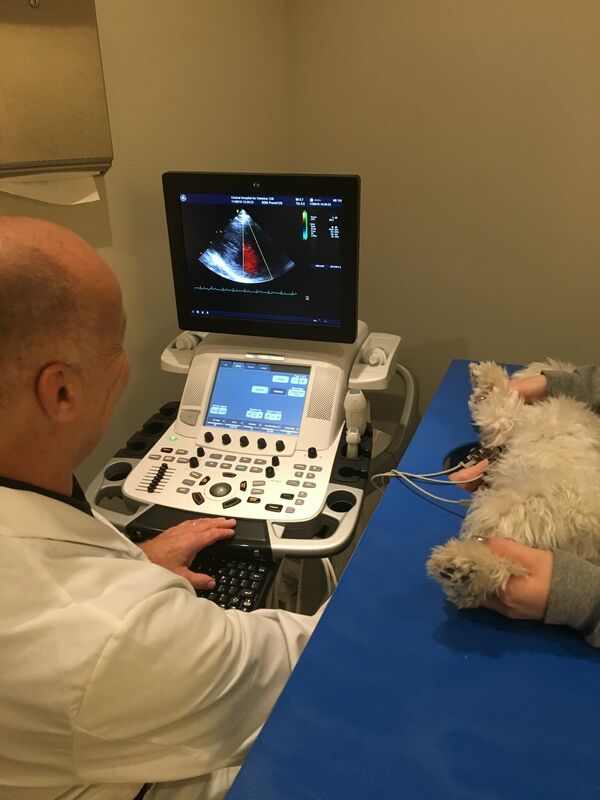 Dr. de Madron began his North American career as a cardiologist / internist at the DMV Veterinary Centre in Montreal, Quebec, then continued in Ottawa, Ontario, at the Alta Vista Animal Hospital for 16 years. His main clinical interests are prevention and management of congestive heart failure,management of systemic hypertension, interventional cardiology and radiology (with a special interest for tracheal collapse in dogs) Dr. de Madron has published over 30 scientific papers in peer-reviewed journals, he has been a co-author in several textbooks, and has written an interactive CD about blood pressure measurement and management in dogs and cats (Lifelearn,2007). He is the editor and co-author of the textbook, "Clinical Echocardiography in Dogs and Cats", Elsevier, 2015. Stephanie attended University of Connecticut and graduated with an Associate’s degree in Animal Science and a Bachelor’s degree in Health & Society. 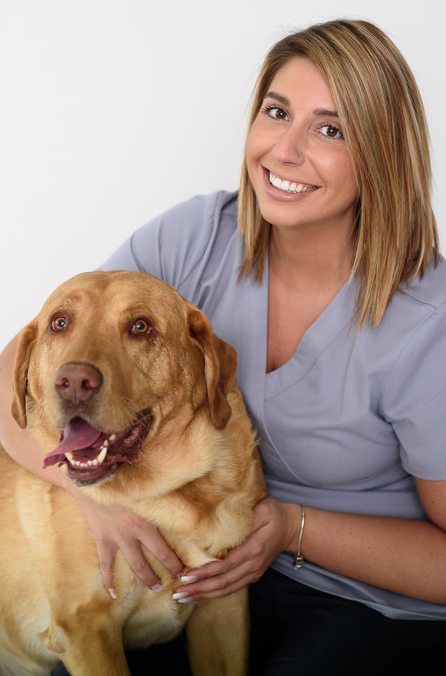 She started her career in 2012 as a veterinary technician assistant at VCA Cheshire and became an ICU technician in 2013. Stephanie joined our team in 2014 as an overnight ICU technician and became our lead cardiology technician in 2016. 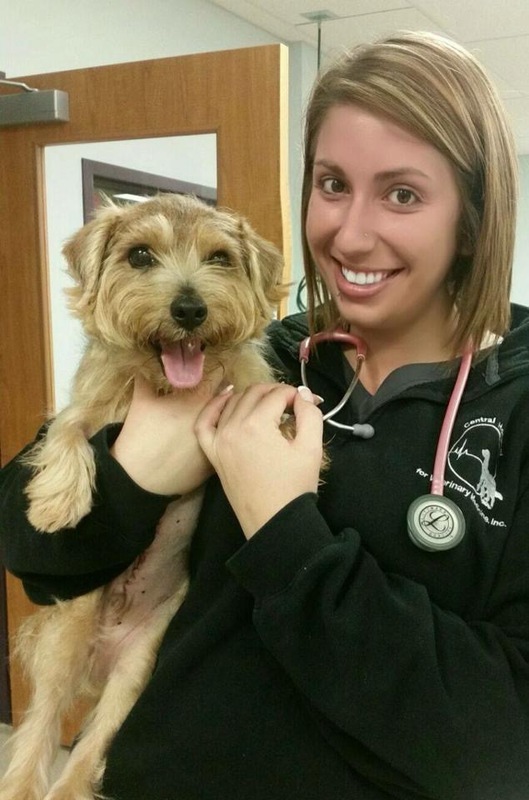 Why Has My Veterinarian Recommended My Pet See a Cardiologist? Just like humans, animals can be born with or develop a number of conditions that affect the heart, lungs and circulatory system. 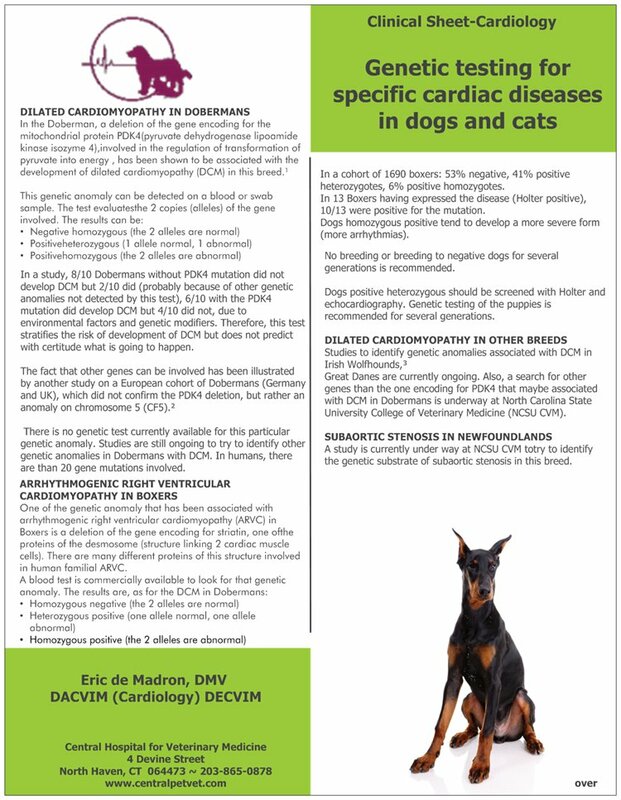 Some of these disorders may be specific to certain breeds of cat or dog, while others may be due to aging. Some develop secondary to other diseases. 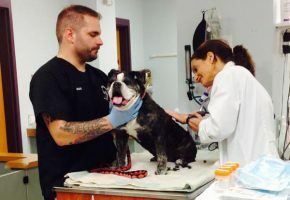 When your veterinarian has identified a condition affecting your pet's heart, lungs or blood vessels he/she may feel it can best be addressed by the expertise of a cardiologist. 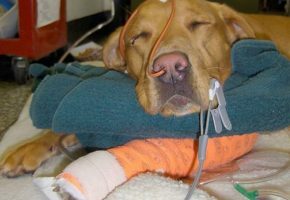 The cardiologist will not replace your veterinarian but rather become a part of your pet's veterinary health care team. PJ, the Technician, was very polite and knowledgeable. Dr.Shakeri was very attentive and answered all of my questions. I was very pleased with her. I am grateful to PJ and Dr. Albino (as well as office staff ) for being available to assist my Gerbil on Christmas Eve. I’m so thankful they see exotic animals! Staff was awesome!!! Thanks PJ for answering all my questions and being super sweet!!! Dr. Shakeri and PJ were very knowledgeable about hedgehogs and were honest and thorough about their recommendations for their care. Excellent customer service! We saw Dr. Weston and she was AMAZING. 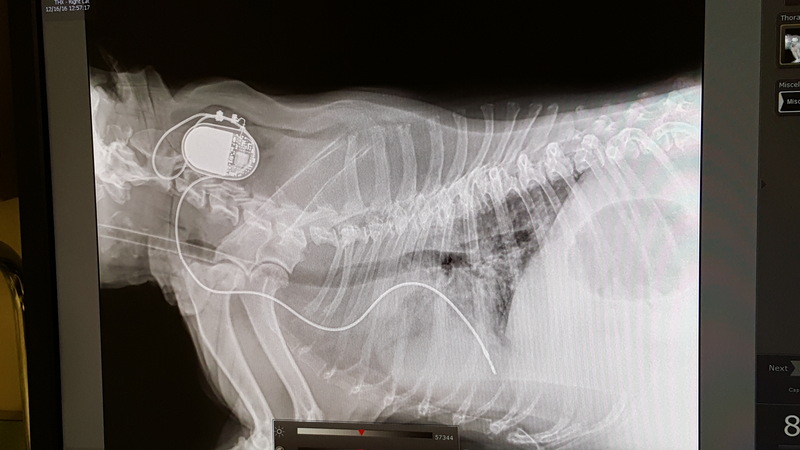 For an emergency visit, the price was very fair and the reason I will go to Central Hospital… Dr. Weston went above and beyond with my dog and I was very happy with how things were handled. 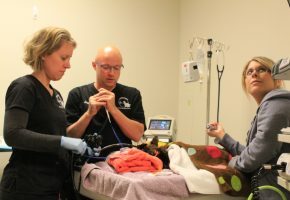 The coordination between your staff and our vet was exceptional. We (our 8 kitties) were greeted and taken in right away. Thank you. Everyone is so caring and considerate, willing to help. 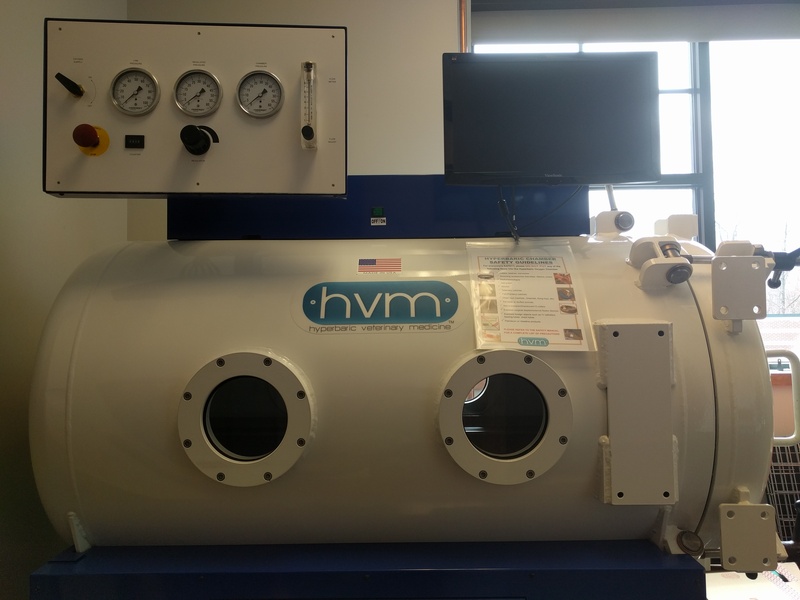 I’m thankful my vet recommended this facility and the oncology team at Central Vet Hospital. Dr. Olmsted and her team are all very helpful and supportive and patiently answer all my questions. We visit monthly for allergy vaccinations. Everyone is very kind to Tashi, my dog, and to me. Tashi enjoys going. We are very happy. I have no complaints; as good an experience as possible with a seriously sick pet — traveled for the expertise of surgeon, per advice of my local vet, and received both expertise and compassion to my animal, as well considerate treatment, myself. Thank you for being there and providing such great care and service to animals 24/7. Don’t know what we would have done without you! Thank you! Dr. Kennedy and Dr. Smith were awesome with our pup. Honestly, everyone was. Your facility is top notch. 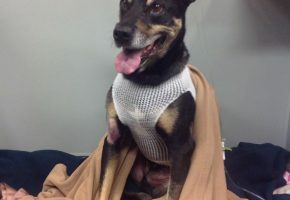 I came in on Christmas Day with a wounded dog. I can’t thank the staff enough! They were outstanding. Thank you for being open around the clock. Dr. Wells was very kind and understanding. She spent the time to explain all options and made us feel like she truly cared about our cat and family as a whole.